The Ohio Department of Education has begun to release the preliminary data on 2010 Ohio Achievement scores. We invite you to review the chart below which contains the data specifically for Olmsted Falls School District. This information, while still preliminary, shows not only the percentage of Olmsted Falls’ students who passed, but also the percentage of our students who scored in each of the five performance levels (Limited, Basic, Proficient, Accelerated, and Advanced). This is very positive information for our District, as this data reveals that we are not just getting students to “barely” pass “the test,” but we are having students score at extremely high levels. For example, please note the 3rd grade reading (59% of students scored at the Advanced level) and 6th grade math (60% of students scored at the Advanced level) scores. This is an extremely high percentage for these categories and a credit to our students, staff, and community who all worked together throughout the school year to make this happen – a school year that included the disruption with the levy campaigns, personnel and busing cuts. The District’s continuing focus on ensuring that learning targets are clear for students, coupled with a priority on continual formative assessment techniques are key components to these high levels of achievement. Additionally, the implementation of cost-saving, job-embedded professional development initiatives (such as teachers collaboratively planning instructional units together to establish consistent learning targets) has also contributed to the District’s success. We also want to commend and thank our Board of Education for their important role in this academic accomplishment as well. Our Board’s ongoing support and push for continual improvement is a root cause for this high level of academic achievement. According to The Philadelphia Inquirer, the value of education stands out in a down economy. The unemployment rate for people who had not earned a high school diploma was 15%. The unemployment for those with a diploma drops to 10.9%, then to 8.3% for people with some college or an associate degree. The rate for bachelor’s degree holders is 4.7%. To read more, visit http://links.ohioschoolboards.org/89912. 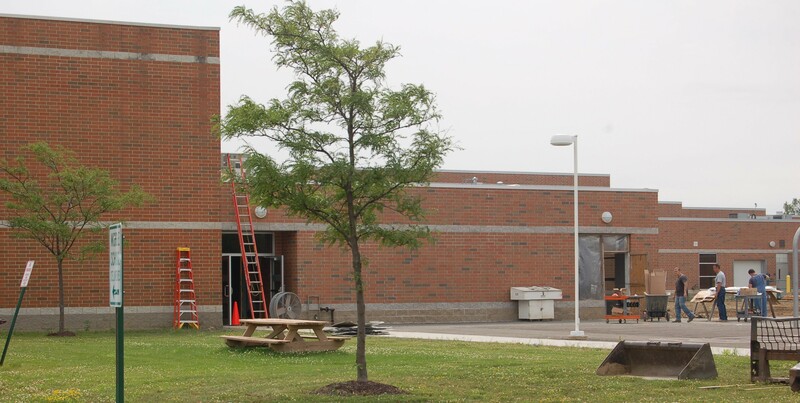 The expansion of Olmsted Falls Middle School – made possible with the awarding of $7.7+ million in State funding to Olmsted Falls School District by the Ohio School Facilities Commission – continues to progress at a steady pace, and is currently on-track for on-time completion in mid-August. The additions to the building include a pod of 17 new classrooms on the east end of the building, as well as an additional choir room, two additional band storage areas, expansion of the wellness/fitness room and expanded locker room areas. All of these new areas will be ready in time for the start of the upcoming 2010-2011 school year. With the opening of new Intermediate School last August, and now the newly expanded Middle School facility, the District has resolved all space issues for grades Pre-K to 8. Twelve students received scholarship awards this year from the Olmsted Falls Board of Education, whose members annually donate back their pay checks in order to fund scholarships for OFHS students. This year’s recipients of the twelve scholarships awarded by our Board of Education included: Katherine Borns, Naomi Disrud, Patrick Laycock, William Major, Leigh McCormick, Steffany Meredyk, Kelly Miller, Gus O’Neill, Joseph Pedicini, Gina Rini-Reese, David Venezuela and Tabitha Wrege. In total – thanks to the support of all of the local individuals, families, businesses and organizations who contributed this year, the Olmsted Falls Local Scholarship Program awarded $112,786 in scholarship funds to students from the Class of 2010. Sixty-two local sponsors awarded a total of 211 scholarships to graduating seniors this year. Thank you to each and every one of this year’s sponsors for supporting the continuing educational endeavors of the Class of 2010. Click here for a complete list of this year’s scholarship awards. 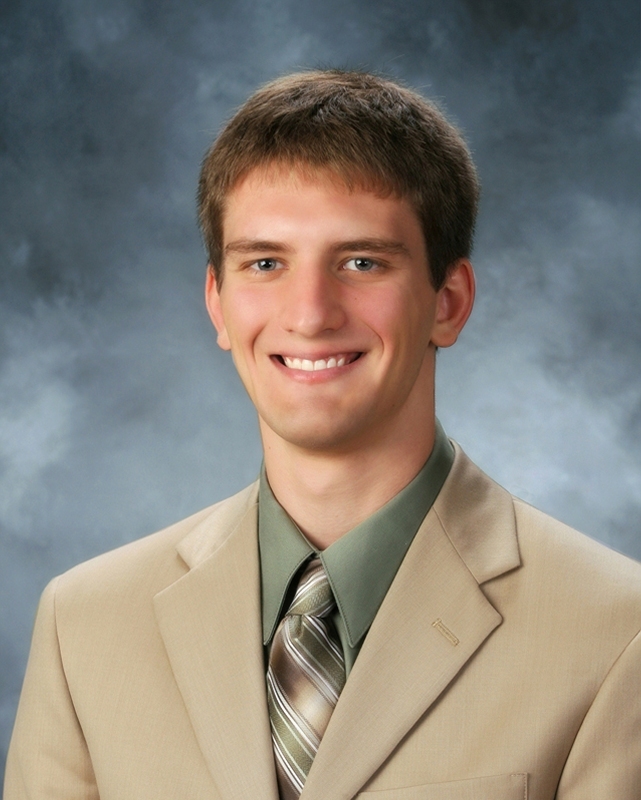 Congratulations to OFHS Class of 2010 Salutatorian Adam Broski on being awarded the Robert C. Byrd Honors Scholarship for the 2010-2011 school year. This scholarship, named in honor of Robert C. Byrd, former majority leader and longest serving member of the U.S. Senate, promotes student excellence and achievement and recognizes exceptional students who show promise fo continued achievement. Adam Broski is certainly deserving of this scholarship in recognition of his accomplishments. Adam will be attending Purdue University this fall. The Robert C. Byrd Honors Scholarship is a four-year, renewable scholarship award. Congratulations Adam! 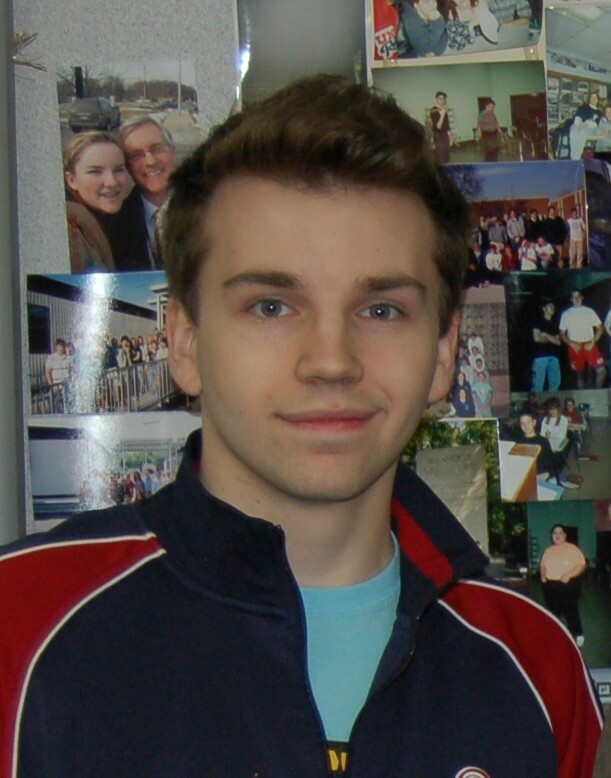 Congratulations to recent OFHS alumnus Max Miller for placing 6th in the State in the Humorous Interpretation category at the 2010 Ohio High School Speech League State Tournament. This State-wide competition has a history that spans more than 80 years, and epitomizes the OHSSL tradition of helping to develop strong character and public speaking skills. Congratulations to Max on this outstanding accomplishment! Max Miller will be attending Baldwin-Wallace College this fall. On Saturday, June 19th, the Olmsted Falls High School Varsity Football Team joined 14 other local high schools on the field at the Browns’ Berea practice facility for the inaugural Cleveland Browns’ High School Invitational. More than 300 high school athletes participated in this exciting event. The Bulldog squad progressed through the 7-on-7 tournament, culminating the event with a 38-28 win over Bedford in the final championship game. Go Bulldogs! Click here to read the official news story on the Cleveland Browns website. 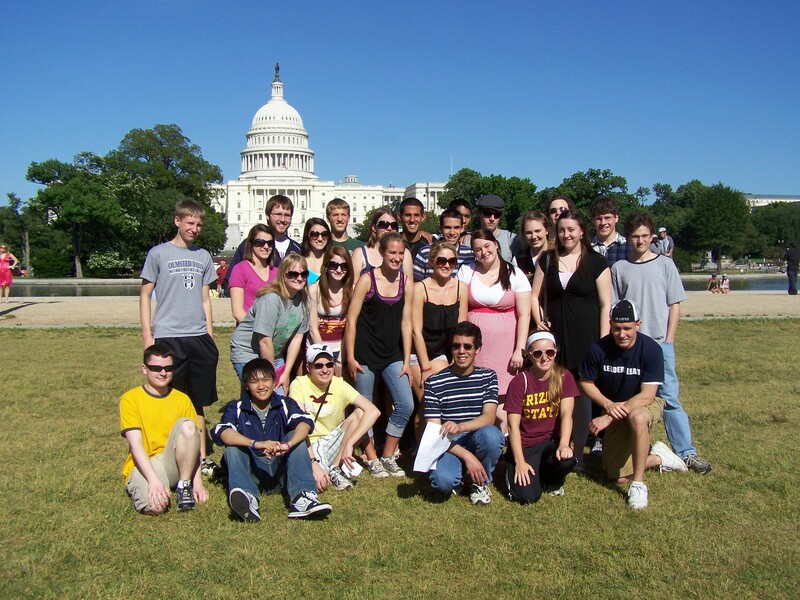 Honors U.S. History students in D.C.
Olmsted Falls High School students in Mr. Mercer’s Advanced Placement U.S. History class ended their school year with a memorable 4-day trip to Washington, D.C. The trip itinerary included visits to the Smithsonian, the National Cathedral, Mount Vernon, Theodore Roosevelt Island, Old Town Alexandria, Harpers Ferry and Gettysburg. In addition, while in D.C., the group had the very unique opportunity of receiving a behind-the-scenes tour of the U.S. Supreme Court which included a talk and question and answer session with current Clerk of the Supreme Court of the U.S., Major General William Suter. Major General Suter is only the 19th Clerk of the U.S. Supreme Court since the inception of the position in 1790. 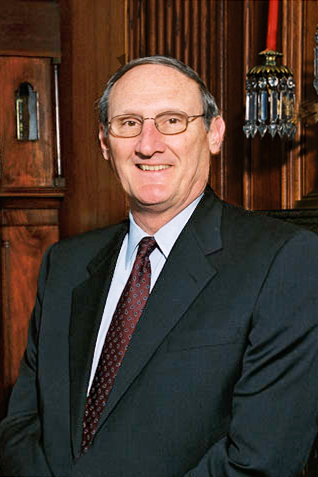 Major General Suter has held the position since 1991. The special tour was arranged by Olmsted Falls Board of Education member James Weisbarth, who has known Major General Suter for many years. On behalf of Olmsted Falls Schools, we thank Major General Suter for providing this outstanding educational opportunity for our students. We also commend OFCS School Board Member, Mr. Jim Weisbarth and OFHS Social Studies Teacher, Mr. John Mercer for continually working to enhance the learning experiences for our students. Olmsted Falls School District currently has an opening for the Executive Secretary to the Superintendent position. This job posting will remain open until July 18, 2010. For additional information and to apply on-line, please click here. OLMSTED FALLS INDEPENDENCE DAY PARADE – JULY 4th @ 1:30 p.m. The annual 4th of July Parade is scheduled for this Sunday, July 4th at 1:30 p.m. (Participants must assemble in Falls-Lenox School driveway at 1:00 p.m.). The parade route this year will be as follows: Bagley Road east to Brookside, north to Mill Street, east to Columbia Road, and north to The Village Green. Don’t miss the celebration! July 9th, 10th & 11th – Olmsted Falls Kiwanis Presents “The Carson & Barnes Circus” benfiting Olmsted Falls Local Scholarship program – Please click here for additional event / ticket information. Saturday, July 17th – 2010 John Sanders Memorial Golf Outing Hosted by the Olmsted Falls Endowment & Alumni Association. Click here for details. Thursday, August 19th – Olmsted Falls Heritage Day Parade – 6:30 p.m.
Saturday, August 21st – Operation Medicine Cabinet – 9 a.m. to 2 p.m. – Please click here for details on this opportunity to safely dispose of outdated or unwanted prescription medications.